100 Things & Make-A-Wish Unite! We did it- $40,000 for Alzheimer’s Australia!! 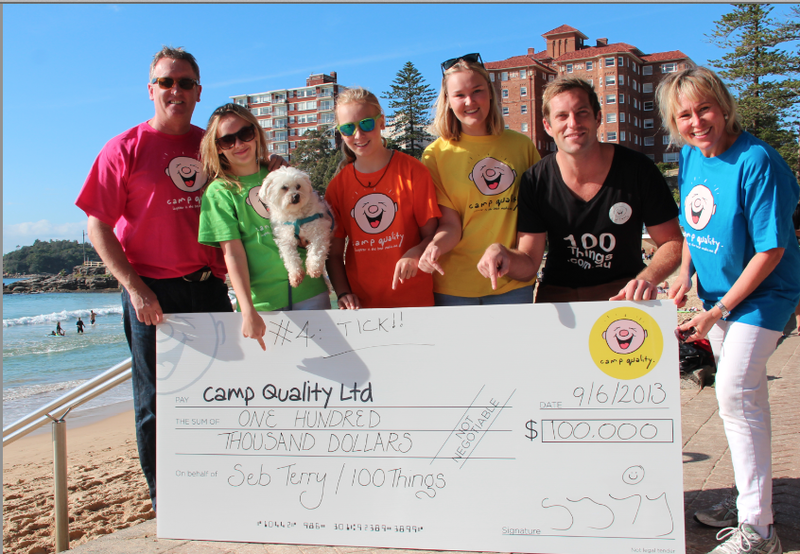 New Charity Target- Raise $100,000 for Alzheimer’s Australia!! Number 93- Volunteer at a Camp Quality camp (as chosen by Jan)- TICK! 100 Things Documentary Premiere! March 8th event in Sydney- come join me!